If you missed my last post about this topic, you might like to go HERE to read. After more than two years of battling acid reflux in our toddler, after bloodwork and barium tests and so many medicines we'd lost count, we found ourselves faced with surgery. 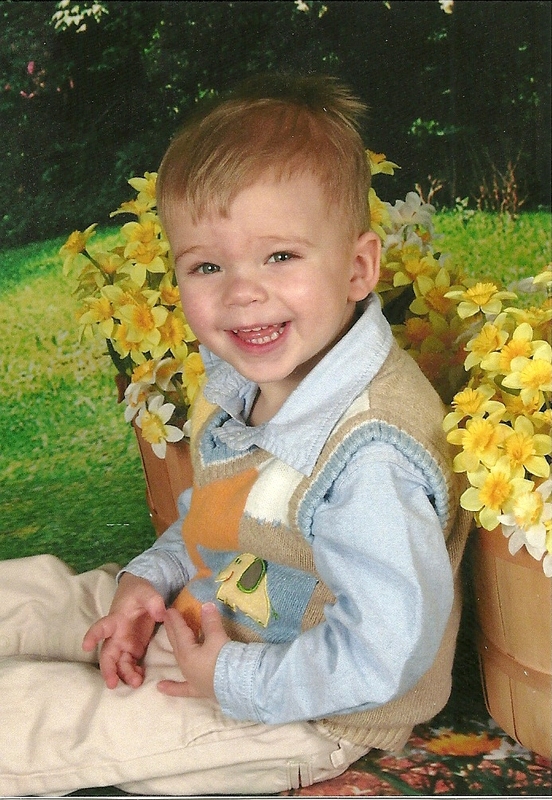 Pierce had three severe setbacks that fall, with weeks of projectile vomiting. It was time to investigate more thoroughly. Granted, it was just a scope. He would be having an upper and lower GI done. But still, knowing your baby is going under anesthesia is terrifying for any parent. The drive to the hospital that morning was somber. Paul and I were nervous of course. We waited in a waiting area for a while. It was early morning, around 6 am. Pierce was hungry but couldn't eat anything. There was a toy box in the room, with signs that each child was allowed just one toy, and afterwards it had to be placed in a separate bin for sanitizing. We broke the rules after 30 minutes and allowed Pierce to get out a second toy. We couldn't help but indulge him. Finally they called Pierce back to a bed, in a waiting area for pre-surgery. The nurses put him in a tiny gown, and he looked so small and helpless. He knew something big was at stake, and fought against having his blood pressure taken. Paul said he felt sick to his stomach. I went around the corner and bought him a gingerale and some crackers, but we felt too guilty to eat or drink around Pierce, who couldn't have anything. The nurses were kind, gentle, and reassuring. They put some cartoons on for Pierce, but he wouldn't watch them. I had brought along some books and his stuffed Elmo. He clutched Elmo, scared, as I read Goodnight Moon. Dr. C. came in and talked to us about the procedure. He told us to expect Pierce to wake up grumpy afterwards. And then he said that one parent could go back with him when he was put to sleep. Paul and I looked at each other and blinked. I imagined watching my only son being put under anesthesia. I said, "Paul, I don't think I can do it. You go." So he went with him. And I sat there feeling guilty that I didn't go with him, that I didn't want to watch. I fretted and tried not to cry. Paul came back in shortly, and we waited. I tried to read a book I'd brought, but I couldn't concentrate. Paul ate his snacks. The clock ticked. We listened to the bustle in the hall of nurses and other patients, other children waiting to be wheeled back. Finally they wheeled him in, asleep. The surgery was over. Pierce rested peacefully on the hospital bed, swallowed up by the bed and his tiny gown, IV still in foot. Dr. C. came in. He said that everything looked good - normal. There was some inflammation in his esophagus, but other than that he was fine. They had given Pierce some IV fluids while he was out in hopes of giving him some strength back - he was so weak after so much vomiting. Dr. C. said he'd be changing his medicines. He wanted to try Nexium now that Pierce was a little older. In addition, he prescribed a month of Carafate to reduce the inflammation. We were told to take it easy on foods, to start small. When we got home we dosed Pierce with new meds and then started with a cracker, but Pierce wanted more. More crackers! We couldn't hold him back. He ate half a sleeve of saltines before we were able to stop him. We waited. Would he start vomiting again? Thankfully, they stayed down. In fact, the new meds worked. Suddenly, Pierce wasn't getting sick anymore. Gone were the days of multiple outfit changes and following him around with dish rags and Wet wipes. I can't tell you how thankful we were to have found something that worked. The following summer, just before Pierce turned 3, we were finally able to wean him off the Nexium. He finally, thankfully, had outgrown his acid reflux. Once in a while, he'll still fight it a bit. I'll hear him fighting it and he'll rub his esophagus and he'll talk about it, and say that he doesn't want to throw up. But now, I just give him a children's tums and he's fine. And these days are few and far between. It must have been wonderful to have him eat and keep the food down. I'm sorry Pierce had to go through that procedure, but so glad he is outgrowing that awful reflux. Thank goodness for modern medicine. Glad he is feeling better. Lisa - your description at the hospital brought tears to my eyes. It is so hard to see our little ones go through something like this. Brought back memories of taking Andrew to get the tubes in his ears. I couldn't go back during the anesthesia part either. Kevin told me they had asked what Andrew's favorite song was and he told them Twinkle Twinkle Little Star - he said the entire staff, nurses, anesthesiologist and the doctor all started singing the song to Andrew before they put the mask over his mouth. So glad they finally figured out what medicines would help your precious little Pierce. I honestly can't imagine going through all this with one of my boys. We take health for granted when we have it. Thank goodness he's okay. Oh how awfully scary to have your kid go through that! I'm glad it worked out fine, though. It's funny--I always think of gastric reflux as an old, fat man's disease but I'm learning otherwise. Whew - that was a long rode to go down - glad things are so much better now. My oldest went through 4 different formulas before they realized he had reflux. After nights of projectile vomiting across the room and non ending crying. I can totally empathize with you and am glad he is doing so much better. Poor little guy - but I'm glad your story has a happy ending. Best of health to him. oh wow, what a struggle, and so glad you've found a solution and he's grown out of it! Wow! So glad he is better. That Nexium really worked quickly! I'm so glad!!!! What a blessing that a Tums will do the trick nowadays. Oh gosh, I'm so glad this story has a good ending!! I went back and read your earlier post, as well. Did they ever find out why a baby would be having reflux? I guess not, since the tests all came back normal? This so much reminds me of our son, who had surgery when he was two as well. We waited in the waiting room, it was awful. And when they took him back to the O.R., I just fell against the wall and cried. So I can feel your pain here! But fortunately for both of us, we had a happy ending! That must have been such a scary procedure to sit through. So glad it all came out fine and he's outgrwoing his acid reflux! What a relief! I'm so glad that he is getting better. How nervewracking that must have been to sit in that waiting room! I'm so, so glad this is all behind you! What a hell you had to endure there for awhile. So, so hard to watch your little one go through all that. I'm glad they found something to help him. oh my. I know about seeing your child so vulnerable! Our daughter has been having growth problems and had to go and have tests done under anesthesia. It is times like that when we are tested that we realize how hard parenting is! Anyhow, I also have acid reflux and the only thing that has ever worked for me for extreme flare ups is Nexium too! I hope this was the last of it for your little boy (who is absolutely adorable!). Thanks so much for visiting my blog as well. I think I like this UBP! Oh my goodness poor thing, for both him & you guys. That had to be so scary. Amira had to go in for surgery when she was a year & 1/2. She had a small cut on her belly that turned into Staph & it got so bad overnight that it had to be operated on & drained. Oh man was I freaked. As a parent you just feel so helpless when there is nothing you can do.